Kate Fontneau, V.P. Operations, has more than 10 years of experience building new departments, turning around operations, directing strategic development and managing both consumer website and SaaS products. 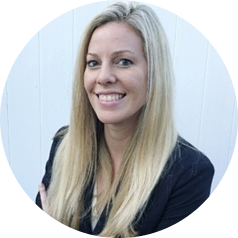 Kate joined the Therigy team in June, 2017, and brought with her a strong portfolio of both product strategy and cross-functional leadership. She specializes in managing large-scale design and development teams to deliver an excellent product. Kate has a proven track record of successfully creating and executing forward thinking, global roadmaps to delight customers. In Kate’s previous role, she directed a team of designers, product strategists, developers and QA analysts across offshore teams located in Singapore, India, Canada and Costa Rica. Kate holds a B.S. in Digital Arts & Sciences, Computer Engineering, from the University of Florida.